Location: Birzebbugia, about 500m from St George's Bay. Guided tours: Self guided tour, L=80m. George Zammit Maempel (1989): Pioneers of Maltese Geology, 302 pp 88 illus. A biographical study of T A B Spratt, Wm Reid, A Leith Adams andJ H Cooke. Many caves mentioned. Martin Morana (1987): The Prehistoric Cave of Għar Dalam, 24 pp illus. Trevor S. Shaw (1951): Għar Dalam, Malta, BSA Cave Science, (15) pp. 304-308. 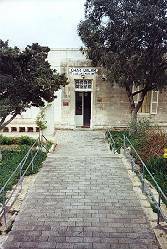 Address: Għar Dalam Cave and Museum, Zejtun Road, Birzebbuga BZG 05, Tel: +356-2165-7419, Fax: +356-2165-9579. Museum Officer: Ivan Bugeja, Tel: +356-21659-579. 1933 opened to the public. 1933-1937 Excavations yielded an enormous quantity of animal bone deposits from the lower strata of the cave sediments. 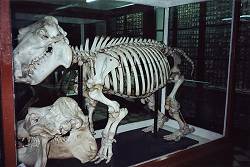 The cave is accessed through the Museum which contains a fascinating collection of bones together with an interesting reconstruction of the extinct dwarf elephant Elephas falconeri, which was just over a metre high when fully grown. From the museum, a paved foot path 150m long, which descends 50 steps, leads to the cave entrance. 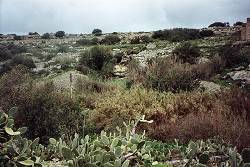 Għar Dalam [pron ahr DAH-lam] is noted for its place in Maltese prehistory because it contains an uninterrupted sequence of fossiliferous deposits extending from the Late Pleistocene to Modern times, a period of 130,000 years. The Neolithic Age 5000 to 4500 BC is represented by pottery. The cave was one of the sites used by early man who crossed to the Maltese islands from Sicily via a land bridge around 5000 BC. Even more remarkable than the evidence of prehistoric man was the discovery of thousands of fossilised animal bones. The cave was first described by Fra G F Abela in 1647 [Maempel p 254] and excavated in 1865 by the Italian-German palaeontologist, Prof Arturo Issel. Issel had to eject the farmers who were using the cave as an improvised cattle pen. Excavations revealed that the floor of the cave had five different layers. In the lower layers were enormous quantities of fossilised bones, tusks and teeth belonging to extinct species - such as dwarf elephants and dwarf hippopotami - along with red deer (Cervus elaphus), brown bear (Urus actus), wolf (Canis lupis), fox (Canis vulpes) and giant swan (Cygnus falconen). As these are all animals associated with Europe this is proof that Malta was once connected to the European mainland rather than the African mainland. Image: Ghar Dalam, main passage. It is suggested that a rise in sea level stranded these large mammals on the island and that the lack of food caused the dwarf versions to evolve. In the upper layers archaeologists found flint tools, sling-stones and pottery which had been decorated by using the rippled edge of sea shells or by pointed sticks or bones. Interest in the unique faunal remains in this cave means that the site is known internationally. Long before archaeologists took any interest in this site, the remains of other prehistoric animals had been discovered elsewhere on the islands. In the distant past local Maltese believed they were the bones of the giants who were supposed to have built the island's megalithic temples. 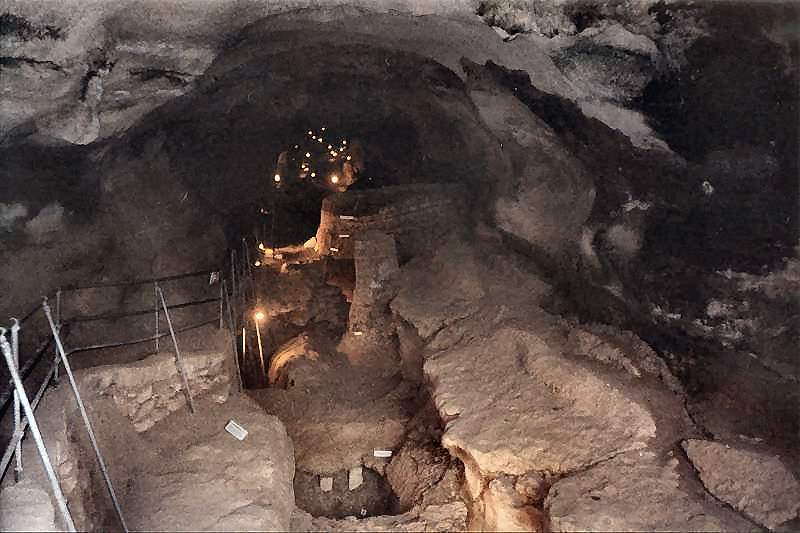 The Għar Dalam show cave is entered via a wide, low phreatic tube, about 10m in diameter which cuts 140 m into the Lower Coralline Limestone, however, this entrance has been considerably enlarged by the above mentioned excavations. Most of the remains were found near the entrance, very little being found further in the cave. Image: Ghar Dalam, above the cave. The cave consists basically of a single passage about 140 m long and 7 m wide, of which 80 m is accessible to the public. There is considerable breakdown in the cave, with blocks having fallen from the roof, so much so that a path has had to be excavated to allow visitors to pass through. Beyond the 80 m point the cave branches into three passages which take the shape of funnel shaped chambers and tunnels all of which are considerably smaller than the main gallery. Large dry stalactites and stalagmites up to 60 cm across occur in considerable quantities. These must have formed before the bones were deposited, as they bisect the bone bearing deposits, a factor which has protected the formations. Although the cave is electrically illuminated, most of the tourist section can be viewed using natural daylight. Notice boards tell the visitors what has been discovered there. In the excavations you can still see layers of bone deposits. It is possible that this cave is part of a much larger system which has been bisected by the downcutting of the valley and a small, blocked, opening is still visible on the opposite side of the valley to the cave which lends credence to this theory, as it seems to have developed in the same joint. 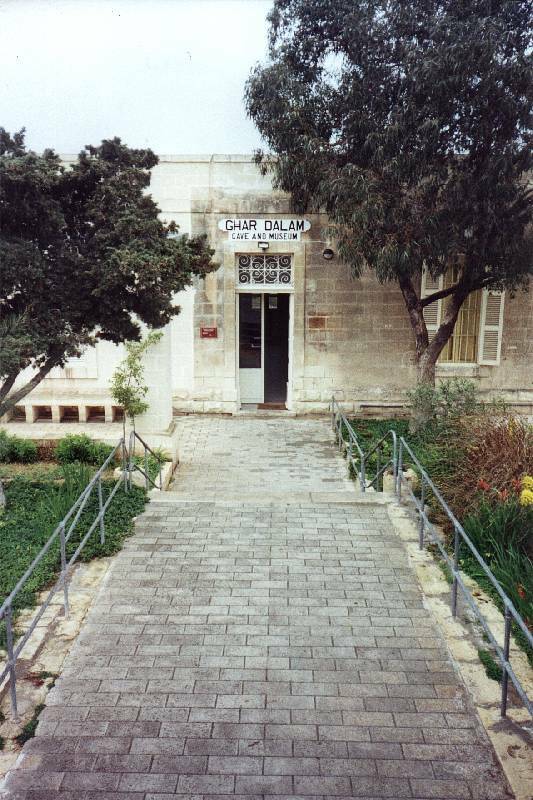 Search Google for "Ghar Dalam Cave"
Ghar Dalam Cave & Museum, official site by Heritage Malta.